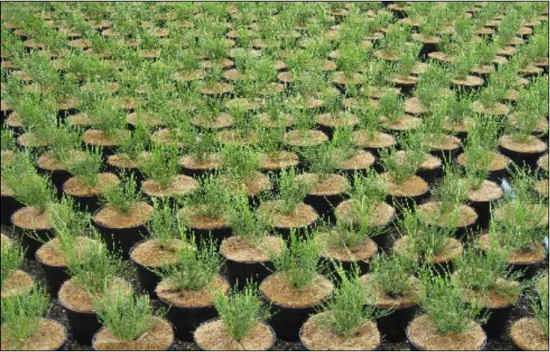 The AW-DISK® is a pot-top against weedgrowth (weed and liverworth), produced from a mixture of natural fibres (coir, sisal and jute) and natural latex. The AW-DISK® is produced in the Netherlands under highly controlled circumstances and is patented in Europe. The rough side from the AW-DISK® with all the fibres needs to be up. Water and nutrition can penetrate this side easily. 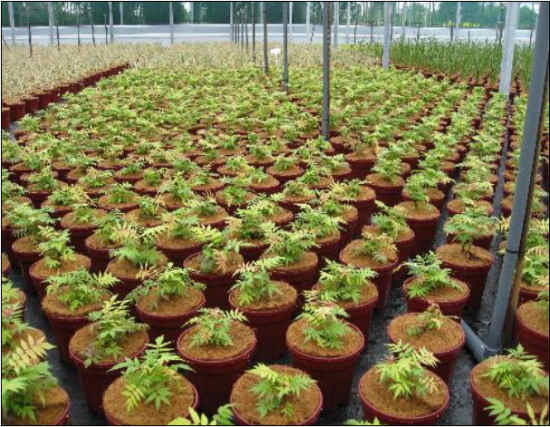 Because of the rough structure, the AW-DISK® dries very quickly by the wind and the seeds of weed cannot germinate. The smooth side of the AW-DISK® with the natural latex needs to be down. 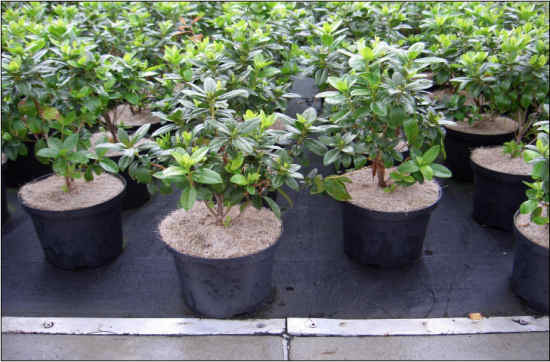 This latex side prevents the AW-DISK® from absorbing water out of the potsoil and makes sure the AW-DISK® remains dry. Because of the controlled production in the Netherlands, a homogeneous quality, a good hygiene (all fibres are well cleaned) and flexibility in delivery (very fast and also in small quantities) can be assured. No more weed and liverworth => the nurseries save on the labourcosts of taking away the weed by hand. No more weed and liverworth => no damage to the plants anymore because of the weed and because of the handweeding or spraying. 3. 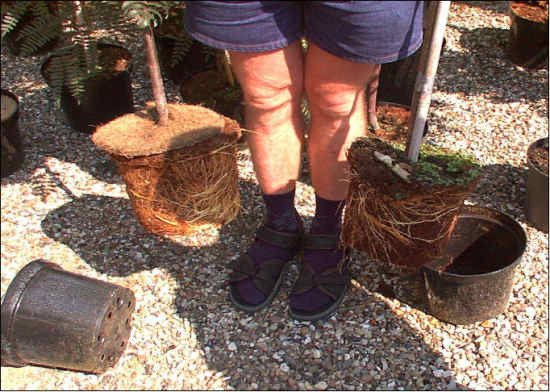 Less need for water, the plants do not dry out so quickly => because the disks stops the evaporation out of the potsoil. 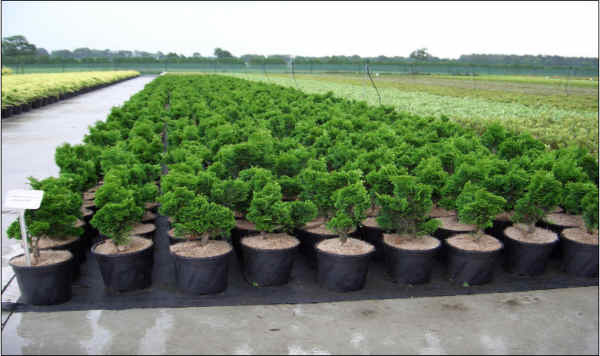 You will save on the labour costs of weeding the plants. Your despatch will be much quicker because you do not need to weed the plants and topdress them again. This is a hugh advantage because it will save you a lot of time in a period where you are very busy!! 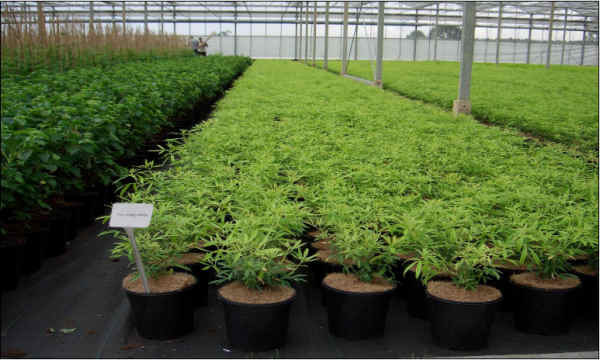 When having no worries about weed-control, you and your employees can focus on important crop handlings which improves the quality of the nursery and your plants. 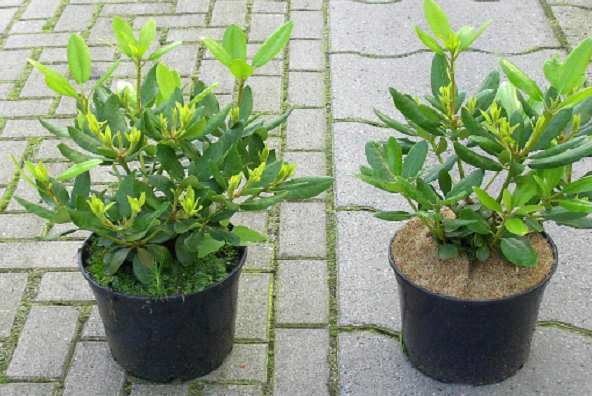 You will not damage your plants because of weeding or spraying them. Because of less evaporation out of the pot, you need 35 till 45% less water. 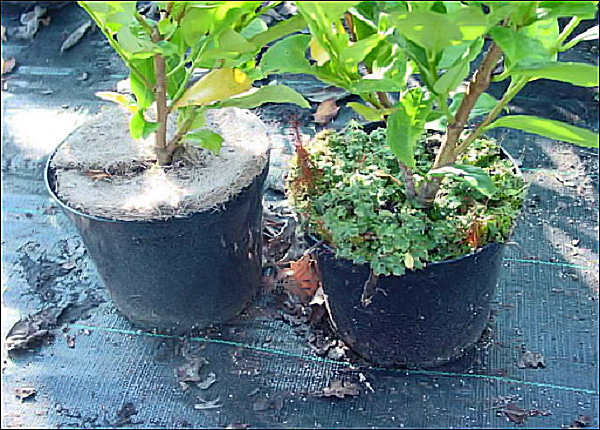 Because of a better water- and temperaturebalance in the pot, the root-development is much better which will improve the quality of the plants (we have pictures from growers claiming this). 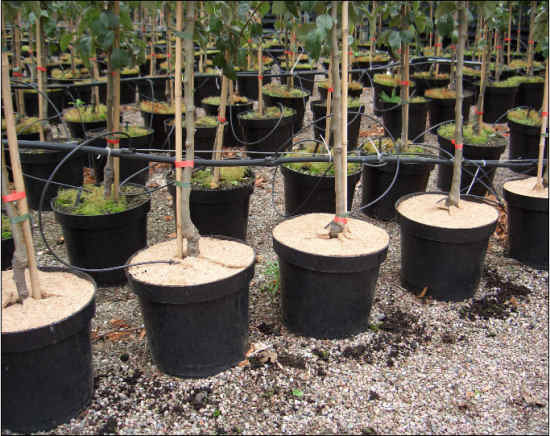 When you supply the plants with the AW-DISK® on, the plants will have a longer shelf-life in the retail, because they do not dry out so quickly because the evaporation out of the potsoil is less. 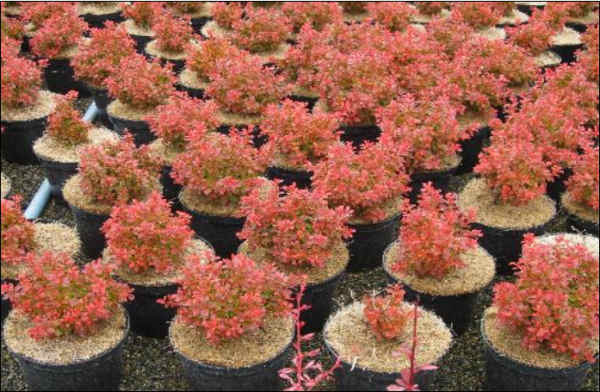 Using no herbicides on your nursery can be a positive selling argument to the retail. Your nursery looks very clean and professional, when clients are visiting you.